Whether you’re looking for a laptop or a smart TV, Apple is known for their high-quality, innovative products. We sell Apple TVs, which provide a high-quality HD viewing experience with the convenience of the Apple TV app. 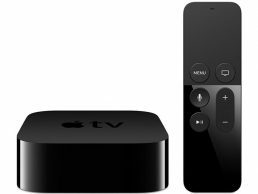 The Apple TV app comes pre-installed on iPhone, iPad, and Apple TV, making it more convenient than ever to watch your favorite shows and movies.